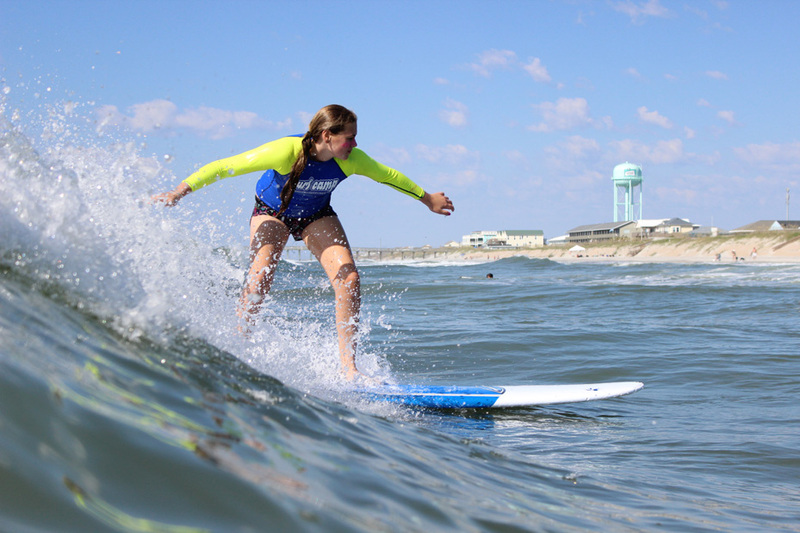 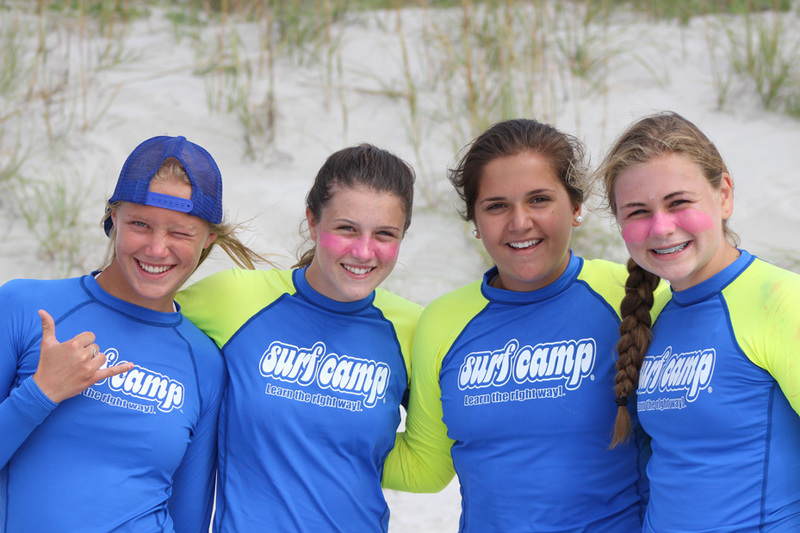 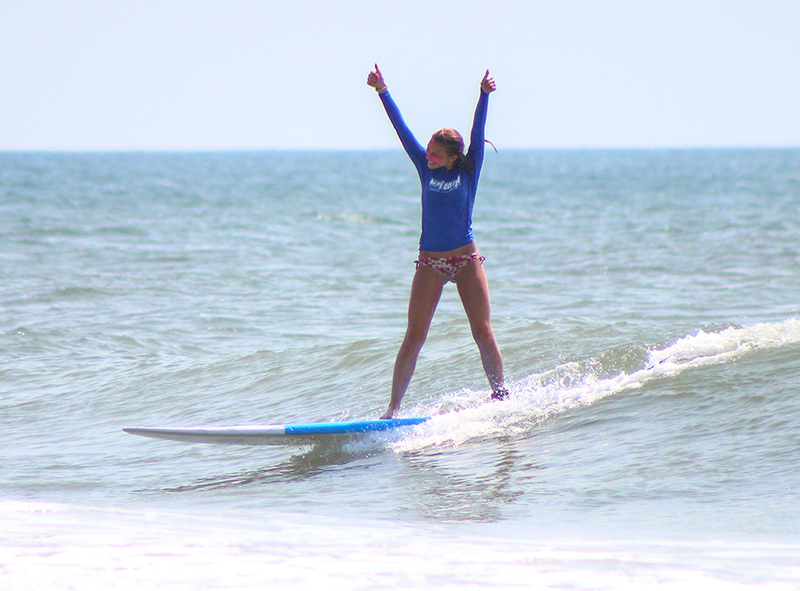 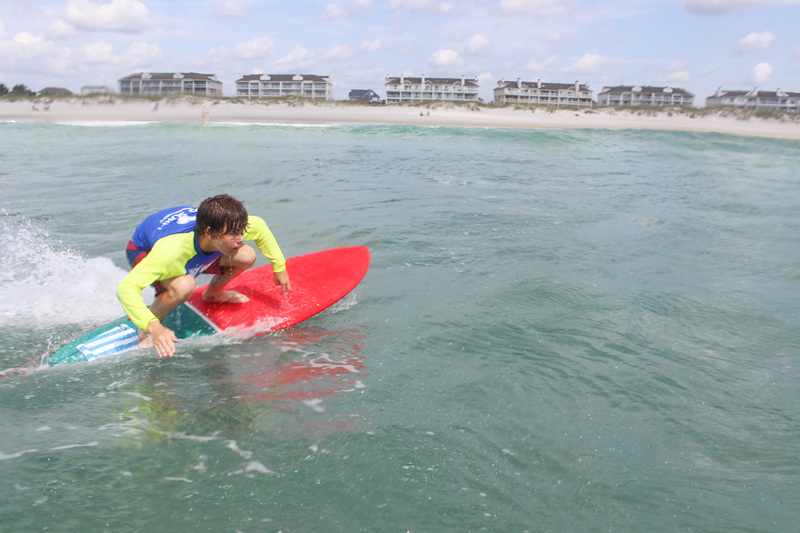 This ultimate overnight surf camp for teens takes place on the pristine beaches of Wilmington, North Carolina. 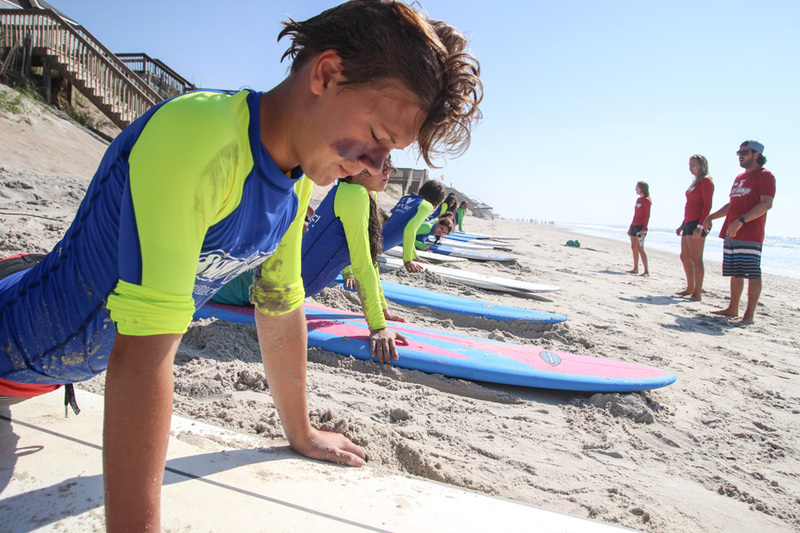 Come to the camp where it all began and thousands of teens have found their stoke of surfing. 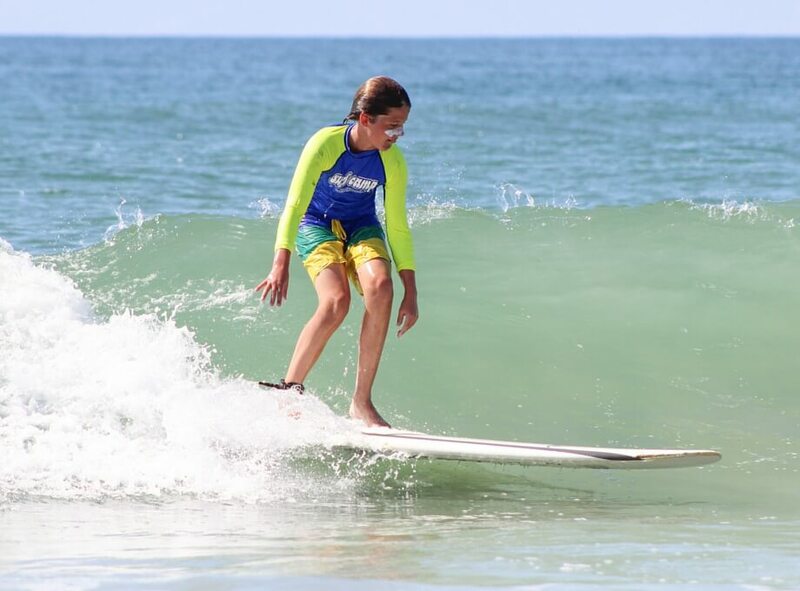 It’s amazing how proper surfing instruction from our world class coaches will accelerate your learning curve and eliminate the frustration beginners face. 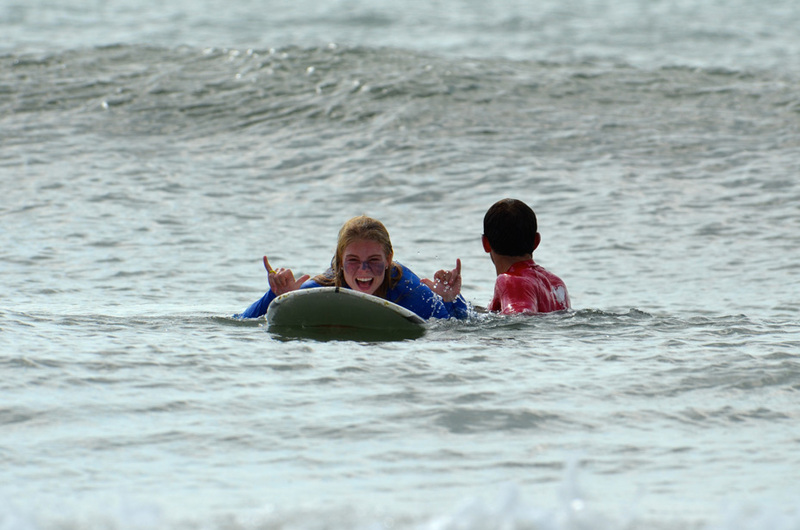 Our certified coaches are experienced, knowledgeable, friendly and will guide you through safe, effective progression. 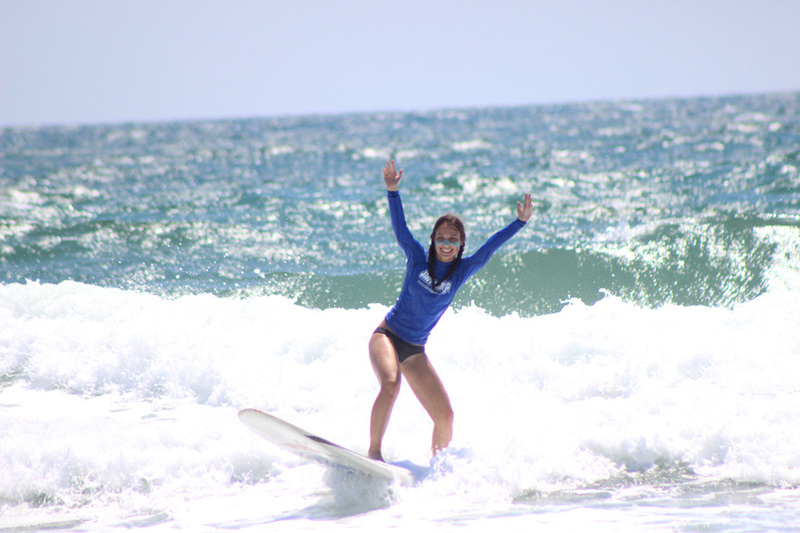 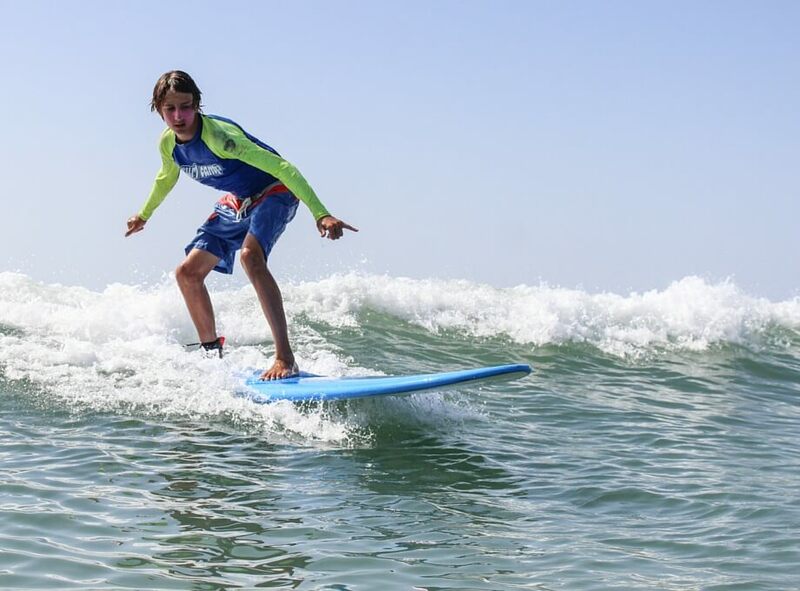 Our overnight teen summer camps are awesome, fun filled weeks of learning how to surf, improving your skills or just enjoying tons of surfing time. 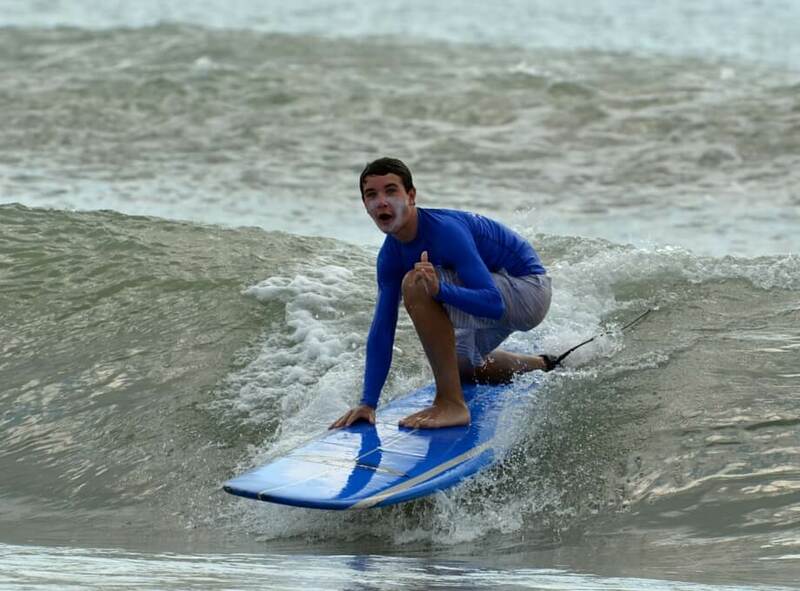 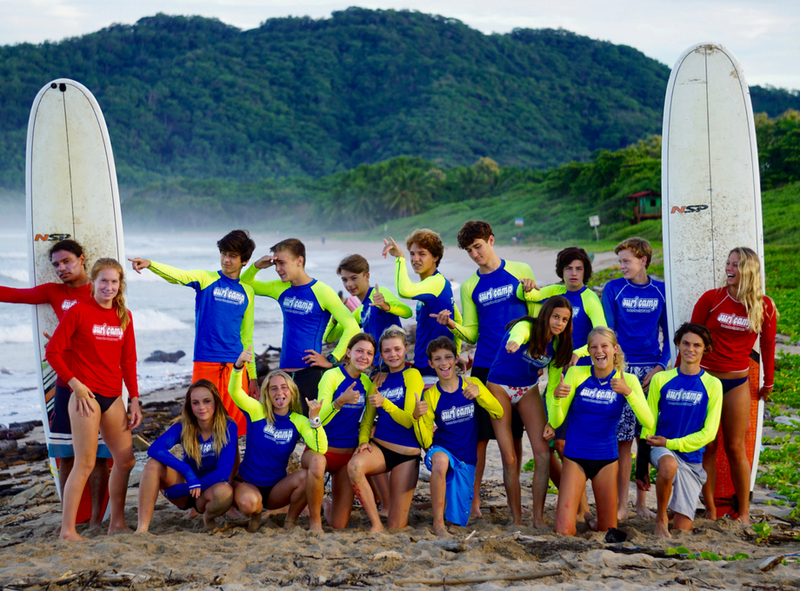 We cater to all levels of surfers from the absolute beginner to advanced teens. 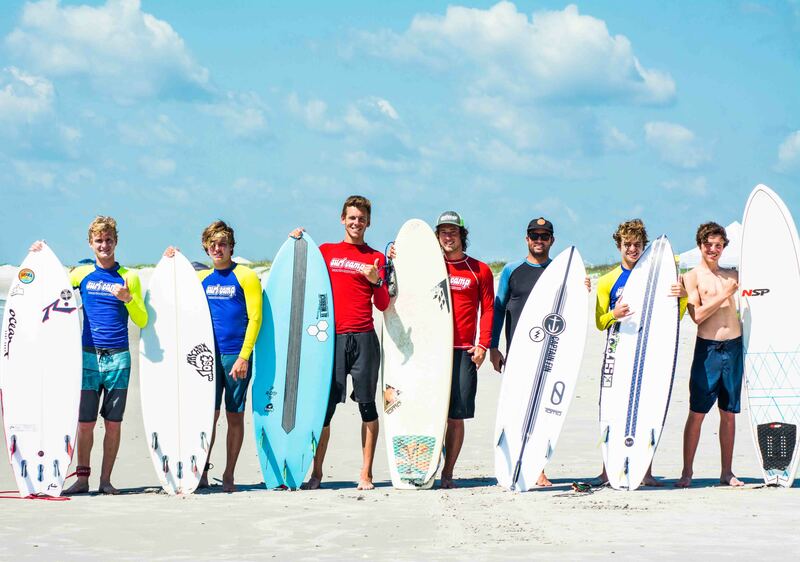 You will receive skill appropriate coaching by our staff of professional instructors who will take you to the next level. 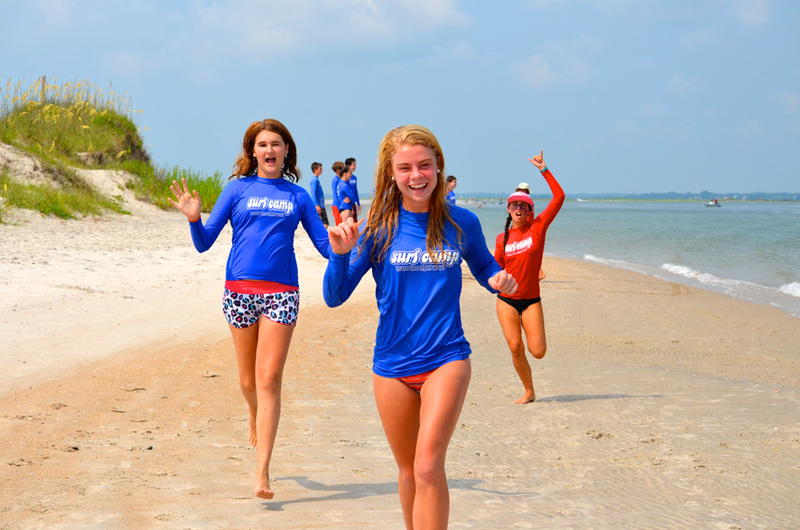 Join teens from 46 states and 26 countries all over the world for an adventure you will never forget! 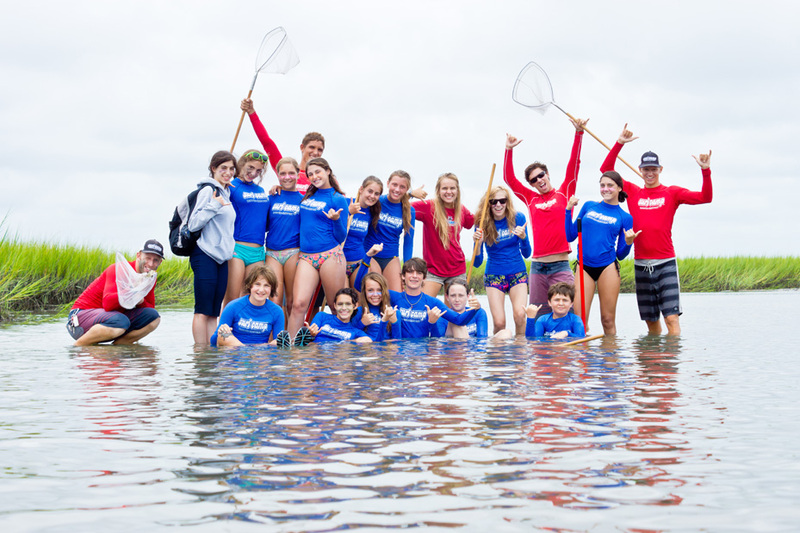 The best camp food ever! 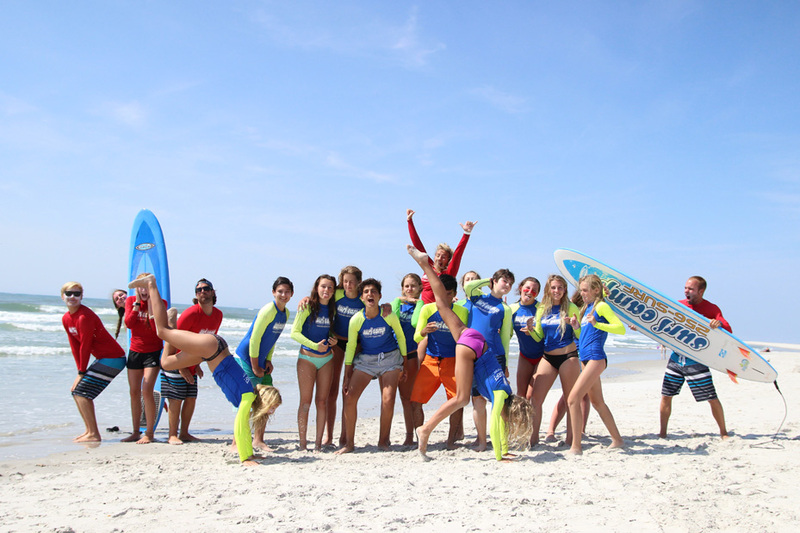 Cost includes lodging, all meals, 24-hour same gender adult supervision, shuttle to and from the airport (ILM), equipment, professional surfing instruction (3:1 student to instructor ratio), t-shirt, Sea Turtle Hospital donation, Surfing Etiquette Guide, and 8″ x 10″ group photo. 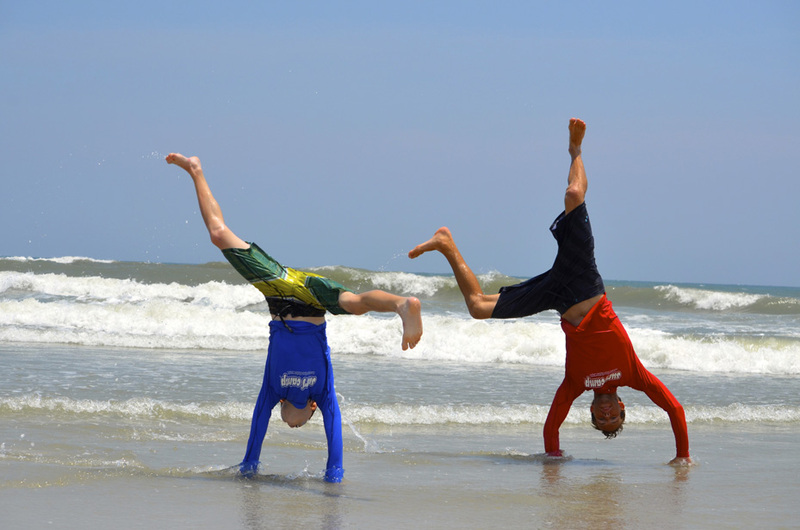 Multiple sessions can be combined for an extended stay. 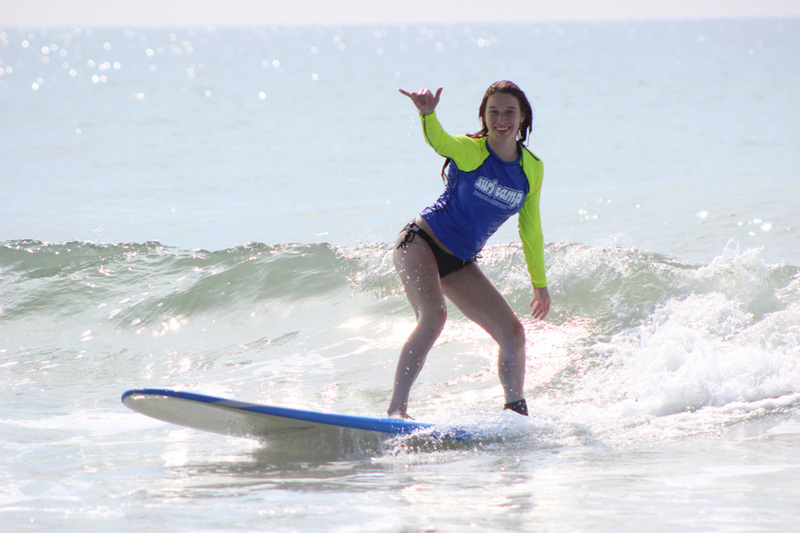 I have never surfed before, is this camp for me? 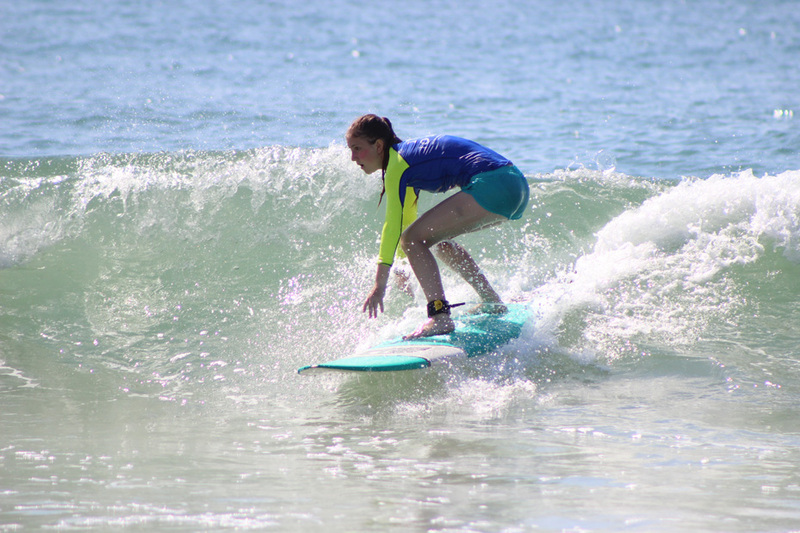 I have surf experience will I get to learn more advanced maneuvers? 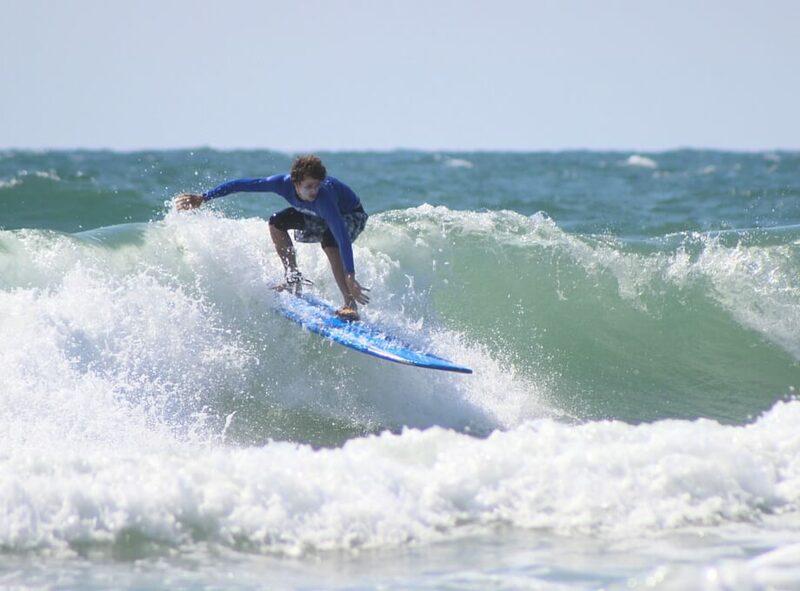 Our staff is composed of amazing free surfers as well as competitive surfers, all of whom are great technical instructors and will be able to coach you to a higher level of wave reading, performance, and creativity in your surfing. 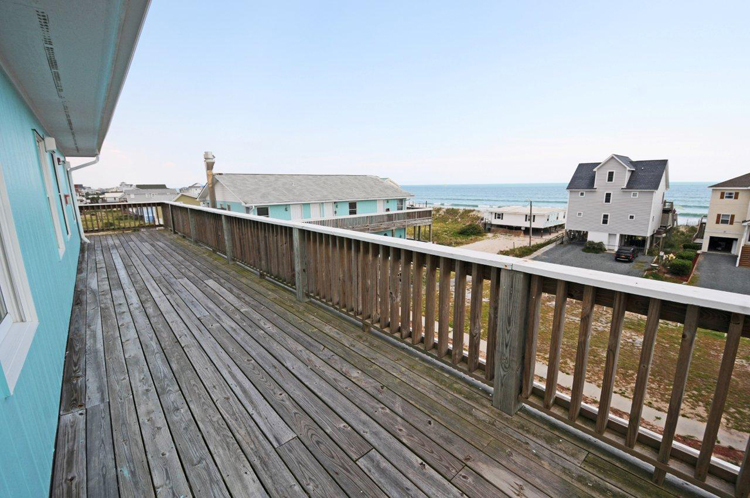 Should I stay for one or two weeks? 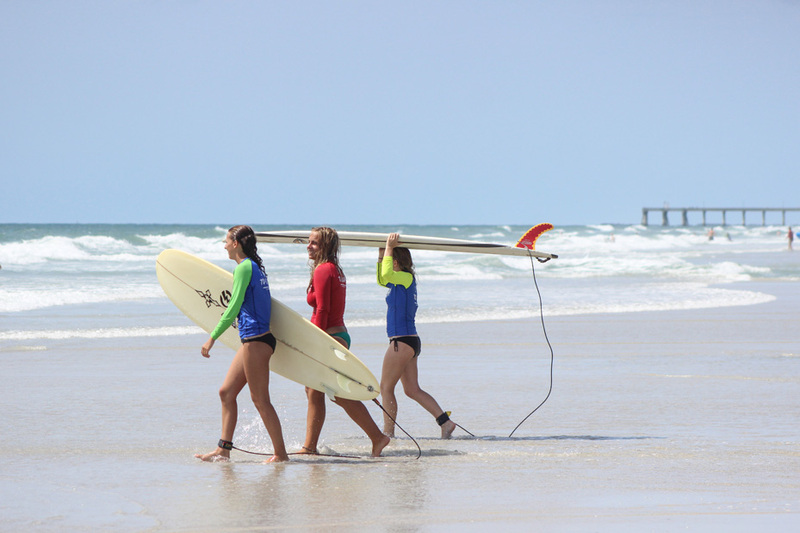 A sizable number of teens stay for 2 weeks each summer. 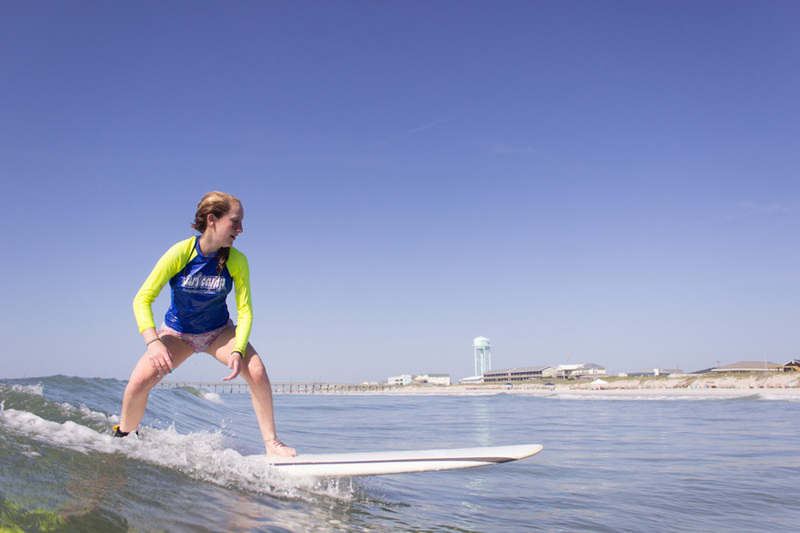 We offer supervision and coaching in between sessions so teens get to continue improving their surf skills while staying at our ocean view campus. 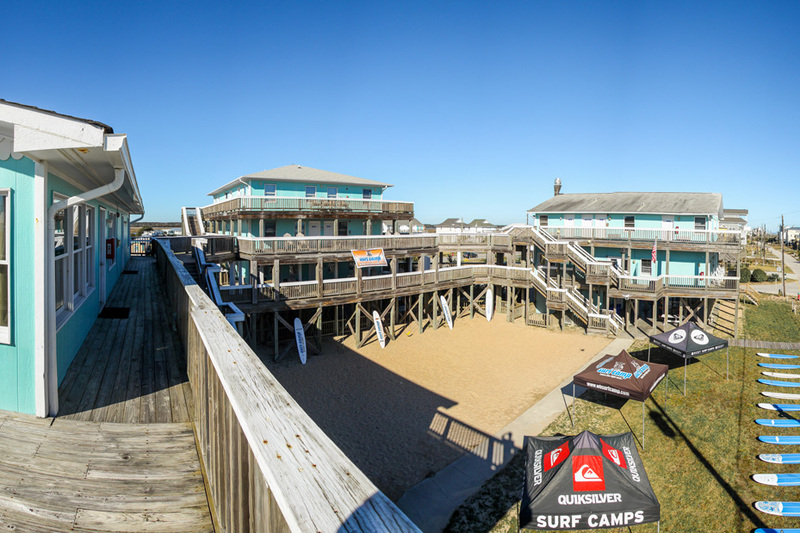 We have a private beach access right in front of our accommodations that offers up great uncrowded warm water beach breaks. 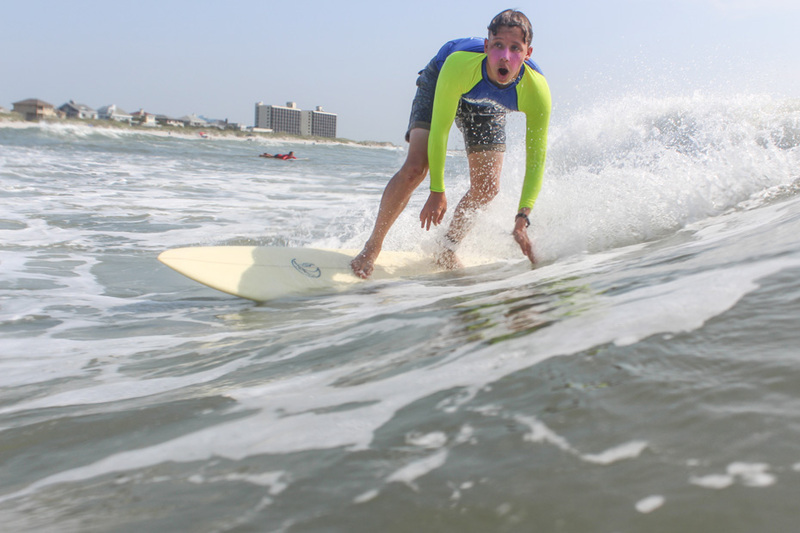 Water temps will be between 78 – 82 degrees so no wet suites are needed. 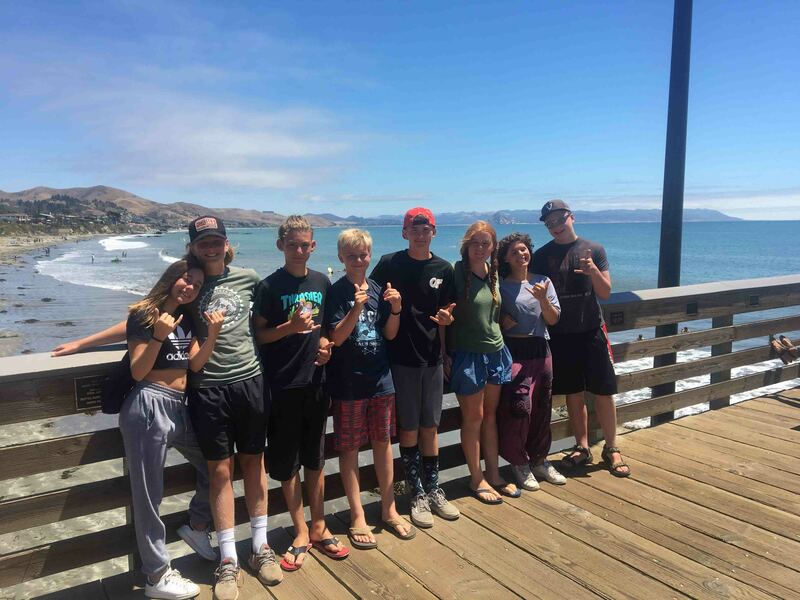 What are the ages of your overnight campers? 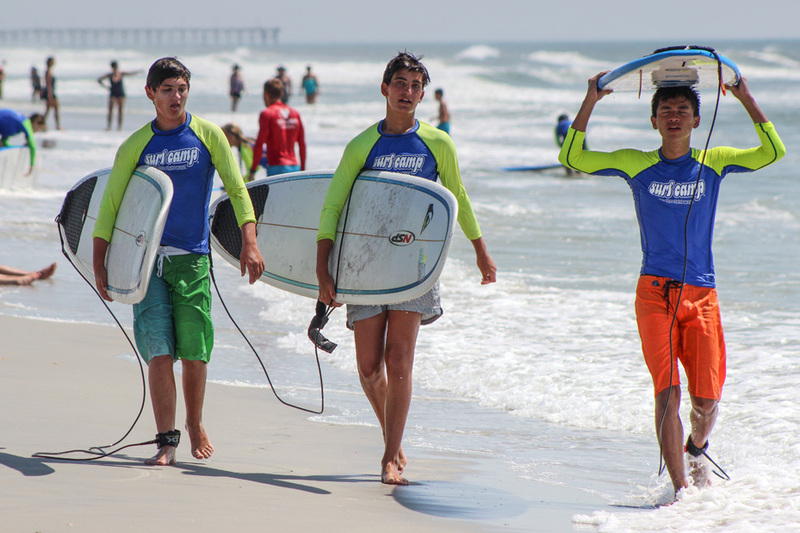 Ages range from 11 to 17 and are sub-grouped by age and session. 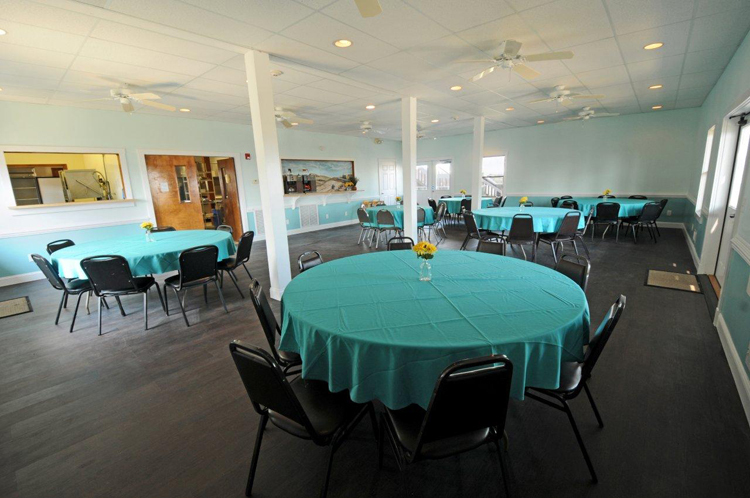 For other general camp FAQs, please click here.